Bravura’s works have been acquired by various institutions, museums, banking houses and private collections in Europe, Russia and the United States of America. His works have been featured in exhibitions in Italy and abroad, including the Venice Art Biennial 2011, and the IV Moscow Biennial. Under his supervision the Institute Artistique Antonin in Beirut, Lebanon, has been created in cooperation with Ravenna Municipality, the CPFP and the Pere Antonin. 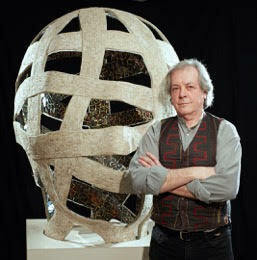 He has created the mosaic works of the Ravenna Festival award and of the Giustiniano award for Art and Culture.